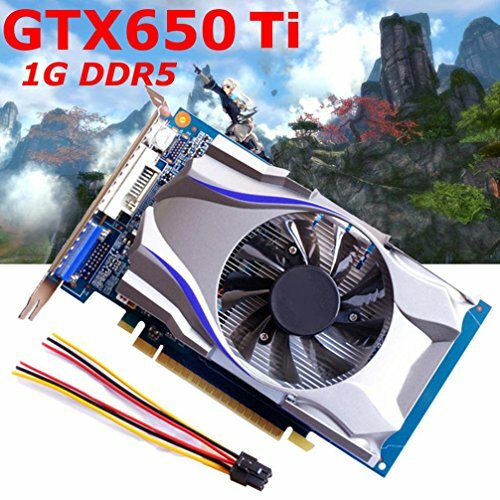 GTX650 1GB DDR5 128Bit PCI Express Game Video Graphics Card For PC. Model: GTX650Ti; Memory Size: 1GB; Interface: PCI-Express3.0. GPU Manufacturer: NVIDIA; GPU Model: NVIDIA GeForce GTX 650Ti. Memory type GDDR5; Memory capacity of 1024 MB; maximum power consumption: 70 W; Interface:HDMI + VGA + DVI. Core frequency: 1059 MHz; Memory frequency: 5000 MHz; Memory Width: 128BIT; maximum resolution: 4096*2160.